The Local Nomad Cafe, Dargan. Image by Jade Jackson Photography. Tucked away, on a remote and lonely road, lies an astounding cafe; architecturaly designed, with incredible Blue Mountains bush views, serving home-style comfort food. 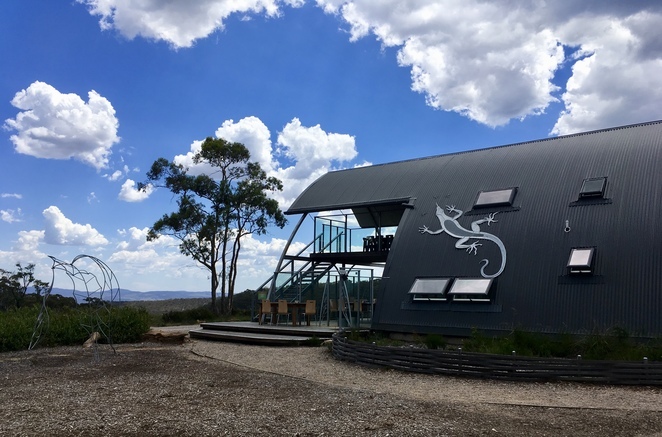 The Local Nomad offers a healthy alternative to fast-food takeaway, if you're heading to Lithgow and beyond. Most drivers heading to Lithgow head straight at the traffic lights at Mt Victoria, which is why this gem has been overlooked. Instead, turn right towards Bell and follow the signs to Lithgow. You'll be glad you did. The Local Nomad Cafe is past Bell, in the Blue Mountains. Image by Jade Jackson Photography. The Local Nomad Cafe is modern, stylish yet unpretentious. It's the perfect cafe for a coffee catch-up, a day trip lunch, or a quiet contemplative afternoon tea, looking out over distant bush views. 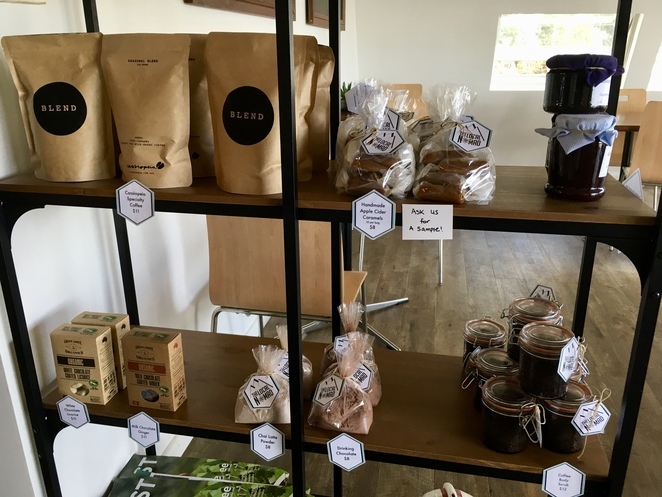 The Local Nomad Cafe uses Cassiopeia Coffee Beans, locally roasted in Katoomba. Image by Jade Jackson Photography. 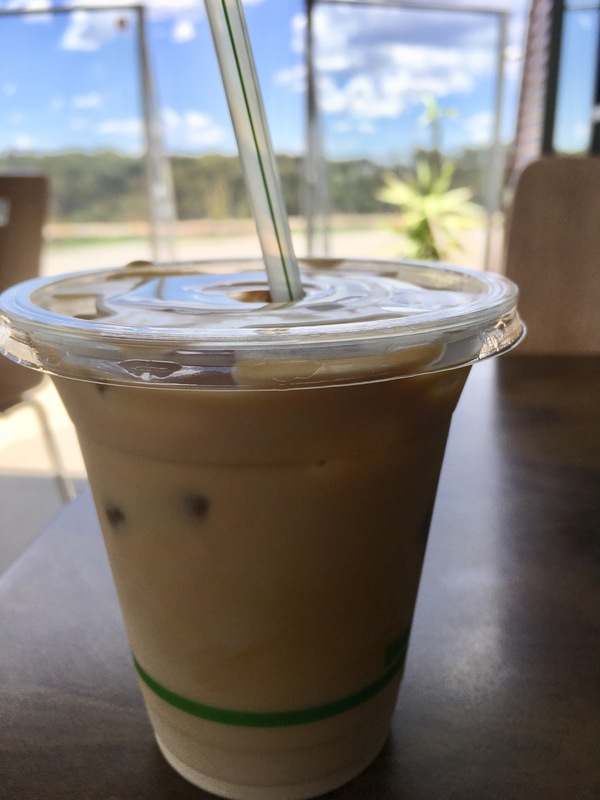 The use locally sourced products (where available) including Bilpin Apple Cider and Cassiopeia Coffee, and over summer they serve 12-hour cold brewed coffee. Their menu was a variation on home-style comfort food, with Toasties ($6), gourmet Sourdough Toasted Sandwiches ($10-$13), combined with your quick-and-easy cafe fare like Burgers (beef/pulled pork/chicken schnitzel - $17-$18), Fish and Chips ($17) and two varieties of salad ($15-$16). There's a kids menu, options for vegetarians and the gluten intolerant. They are licensed to sell Bilpin Apple Cider, only when served with a meal. Mediterranean Salad with grilled chicken breast, at the Local Nomad Cafe. Image by Jade Jackson Photography. I ordered a 12-hour cold brewed coffee ($4) which was my first experience of this, and I was impressed. It was refreshing, but unlike iced-coffee, had that proper caffeine kick, and considering I usually have three shots of coffee, this easily lived up to my standard. Using Cassiopeia beans, roasted locally in Katoomba meant it was smooth, with virtually no tannins, and could easily become my summer pick-me-up. It arrived as quickly as I had sat down after ordering. 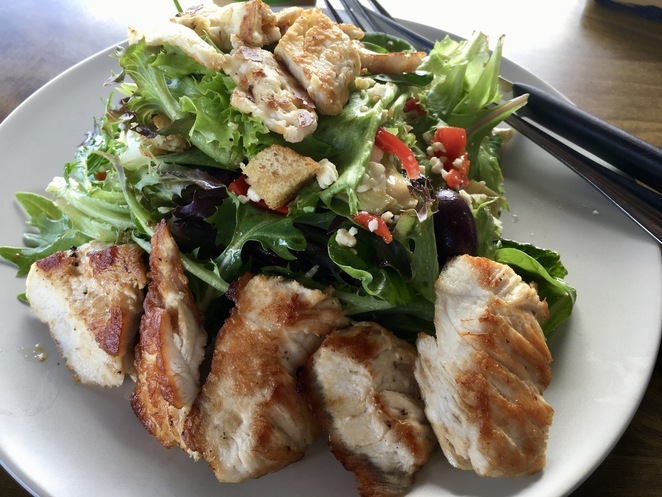 For lunch, I had the Mediterranean Salad ($16) with optional grilled chicken breast ($4) which consisted of a delicate blend of rocket, baby spinach, grilled capsicum, artichoke, crumbled fetta, black olives, herbed croutons, grilled halloumi and chicken breast. There was a hint of dressing, though it could have also come from the artichoke or olives. It wasn't a huge serving but the halloumi and chicken breast gave it enough protein, I found it filling without being overbearing. The capsicum, fetta, and artichoke kept it interesting till the last mouthful because there were tiny morsels hidden beneath each lettuce leaf. Salad and a cold brew coffee, with a view - the perfect combination for writing. Image by Jade Jackson Photography. 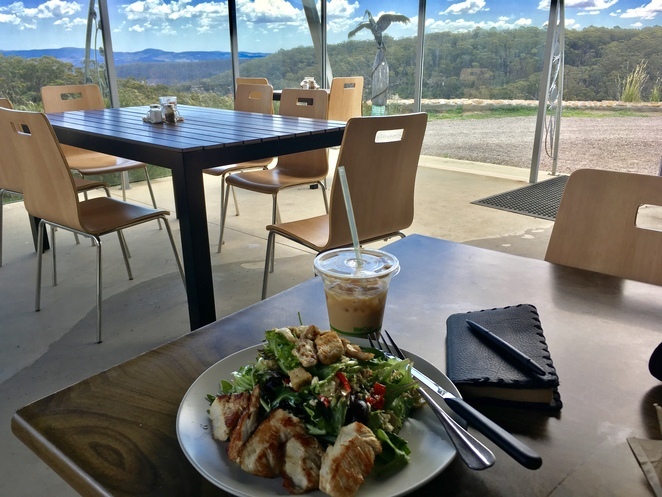 I don't usually order salads but it was so hot the day I visited (47 degrees in Penrith, 34 degrees at the cafe) and with a cold-brewed coffee it was the perfect antidote to the heat. There was a slightly cool breeze, flowing up from the valley, which brought with it all the scents of the bush - wattle, eucalyptus, and tea-tree. The design of the outdoor seating area meant it was under shade, (by the upstairs section). 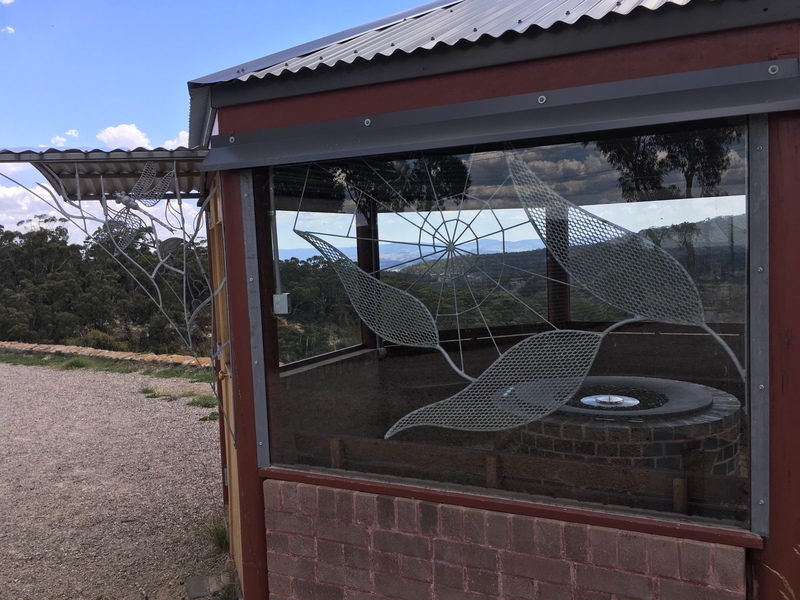 The breeze kept the flies at bay, and the glass facade provided some protection from the elements. Eating a salad meant there was room for dessert and I opted for a slice of Apple and Almond Cake; it's sweetness was in the base. I'm not a fan of overly sweet cakes so I thought this was perfect. It was light, with a crumbly base, and had a mildly sweet top, from the baked apple. 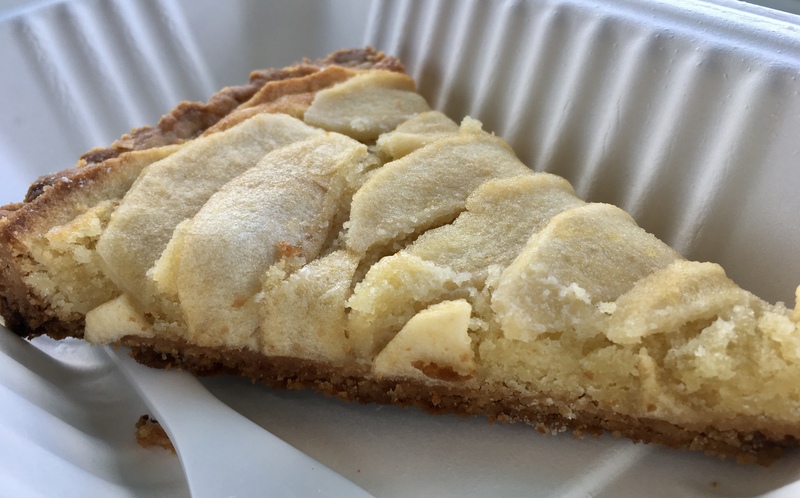 Apple and almond pie from the Local Nomad Cafe. Image by Jade Jackson Photography. What I loved most at the Local Nomad (besides the food and the coffee) was the ambience. The view, the summer breeze, and on a Sunday at 2pm, after 15 minutes, I had the place to myself. There was some soft acoustic music playing, but it was all the same artists found in my music collection so I thought it was perfect. With its architectural design, the view is the centrepiece, which is showcased from the moment you drive in. Instead of directing you straight to the car park, the driveway takes you along the cliff edge so you can take in the view, and ogle the full design of the building. All part of the experience. The Local Nomad Cafe is a custom designed building. Image by Jade Jackson Photography. I found the service friendly, courteous and came with a genuine smile, a simple gesture that so many places fail to provide. There was sufficient parking for the amount of tables available, but I could imagine it might fill up on a busy day. The cafe uses solar power for electricity, and tank water for its bathrooms, so it blends seamlessly with its pristine environment. Sweet treats to takeaway at the Local Nomad Cafe. Image by Jade Jackson Photography. There's additional treats you can purchase to take-away including Apple Cider Caramels ($8), Chai Latte or Hot Chocolate Powder ($8), and Chocolate Covered Licorice or Ginger ($11). A part of me doesn't want to tell the world about this cafe, for fear of it becoming crowded, however, it's the modern cafe the Blue Mountains deserves, and will only enhance the tourist (and local) experience. The Local Nomad will easily become my go-to cafe, for its reasonable prices, excellent coffee, and spectacular views. 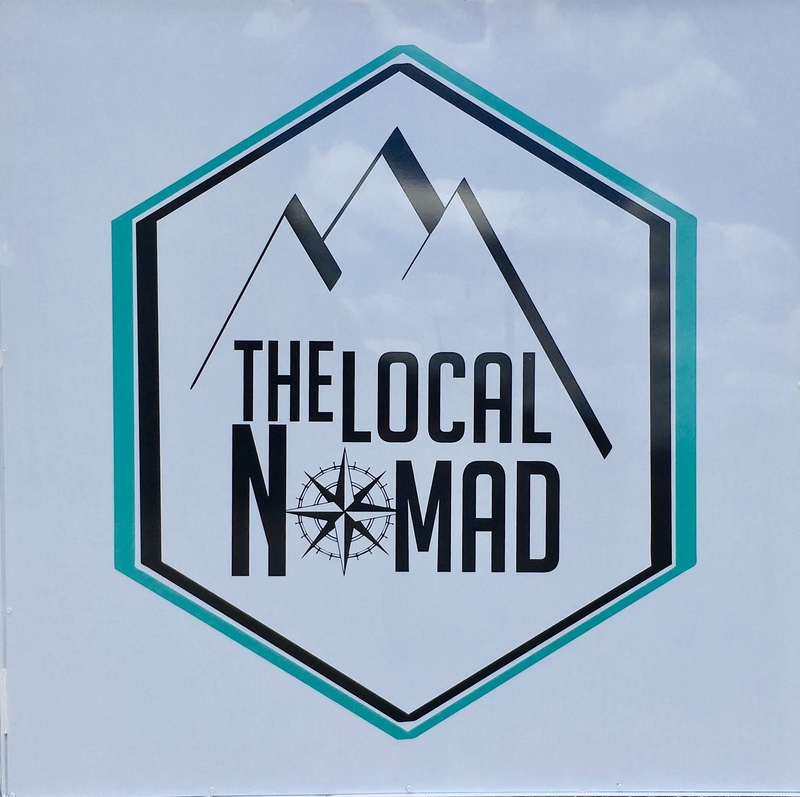 The Local Nomad is open Thursday to Monday from 9am to 5pm, and is closed Tuesday and Wednesday. They accept cash and EFTPOS, and can also arrange takeaway. Vegetarians and gluten-free are catered to, as are kids. 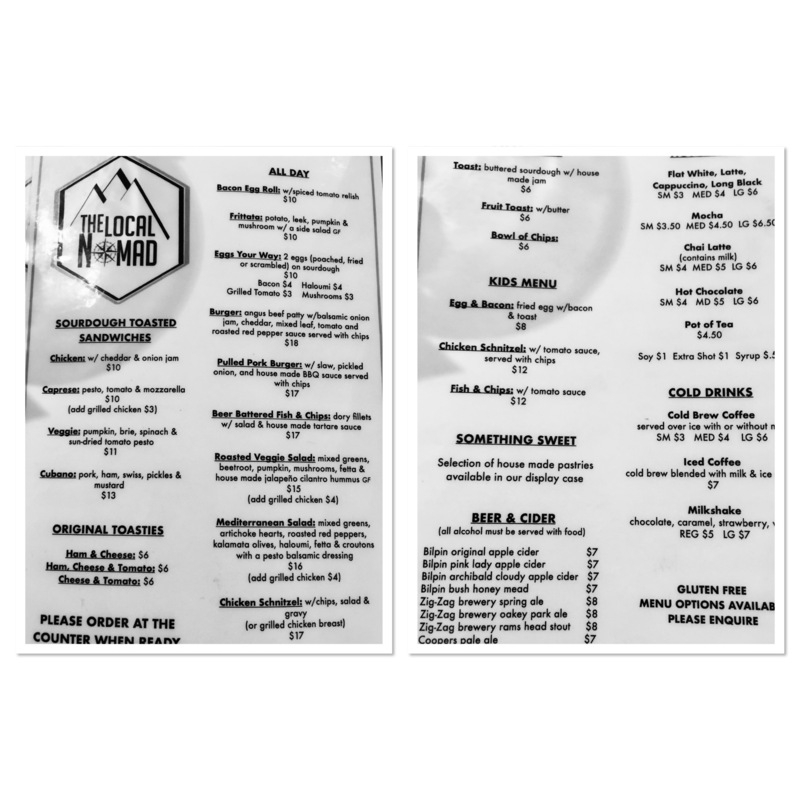 Menu at the Local Nomad Cafe in Dargan. Image by Jade Jackson Photography. 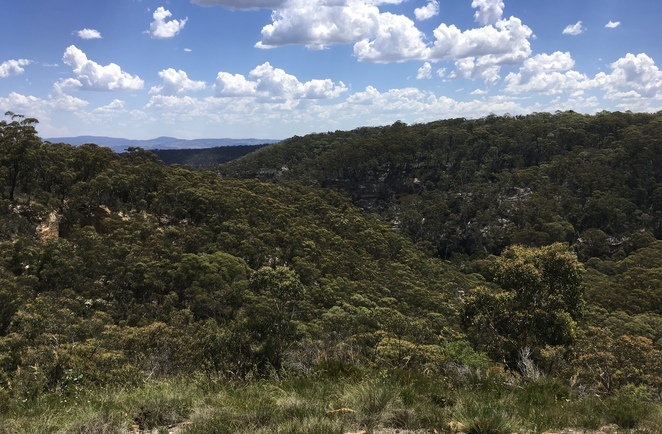 Bush views from the Local Nomad Cafe, Dargan, Blue Mountains. Image by Jade jackson Photography. 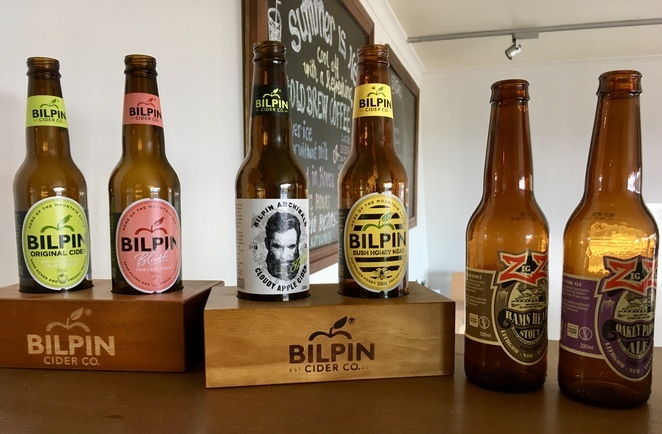 The Local Nomad uses locally sourced goods where available including Bilpin Apple Cider. Image by Jade Jackson Photography. What could be better than a hot chocolate, sitting around a fireplace, overlooking the bush. Image by Jade Jackson Photography. Why? 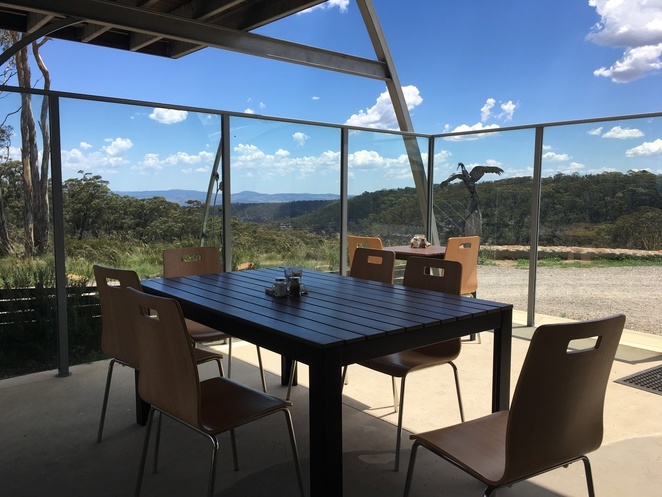 Relaxed modern cafe, excellent coffee, spectacular views. When: Open Thursday to Monday 9am-5pm. Closed Tuesday & Wednesday. 13 Galleries to Start Your Art Collection in Sydney. Looks like an interesting place. Love the views. Great article and great find. Yum this is on my list for my next visit down south! Lovely article, will have to visit!